Al Esterbauer is a senior counsel in the Koskie Minsky Civil Litigation practice. With more than 38 years of experience litigating a diverse spectrum of complex actions, Al has recently added mediation and arbitration to his practice. He has a broad range of litigation expertise in areas of professional liability, real estate, insurance and commercial cases. Al’s litigation practice has concentrated in the area of professional liability in the defence of claims against lawyers, but he has also acted for other professionals, including real estate agents and brokers, actuaries, appraisers and insurance brokers. He has argued numerous cases that resulted in decisions that significantly affect Ontario law, particularly in respect of real estate and professional liability matters. Al regularly appears before the Ontario Superior Court of Justice, the Divisional Court and the Court of Appeal for Ontario. 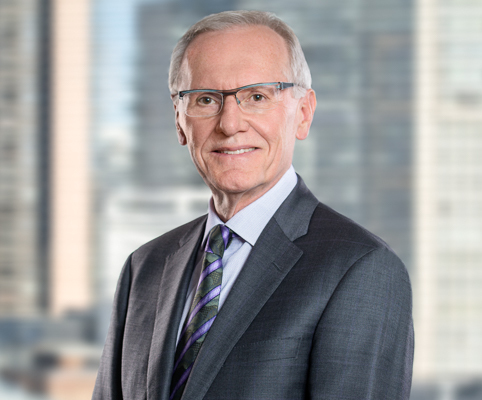 Al has lectured frequently for the Law Society of Upper Canada, the Ontario Bar Association, the Canadian Bar Association, the Advocates’ Society, and the Canadian Independent Adjusters’ Association.